Product #45434 | SKU F2 | 5.0 (based on 1 rating) Thanks for your rating! 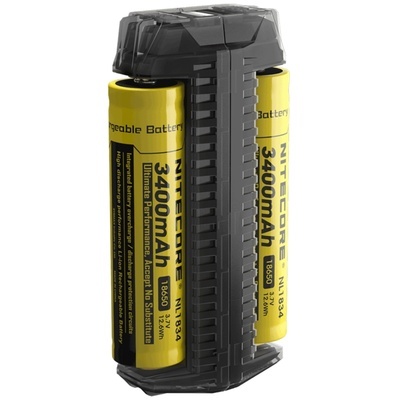 The F2 Flexible Power Bank for Various Li-Ion Batteries is the only charger from Nitecore that doubles as a power bank when a 18650 battery is installed. Without an external power source, F2 can charge an external device connected to its USB output port with a battery in its slot. Optimized for IMR batteries, it's a smart charger and will charge batteries efficiently up to 2000mA. Auto current cut off included. Just plug and forget. The ideal charger to bring on long travel and outdoor trips.